The Panthers are the #3 seed and defeated #6 seed UAB. The team started off slowly this year but has found its footing winning it's last 6 matches and is now 9-6-2. It will face Old Dominion in the C-USA semifinals, a team it beat 4 - 1 earlier in the year. The Panthers are off to the CUSA championships. They defeat ODU for the 2nd time this year by a 2-0 score. They will face New Mexico in the final, a team that we lost to 4-1 during the regular season. During that time FIU was in the midst of am4 game losing streak. 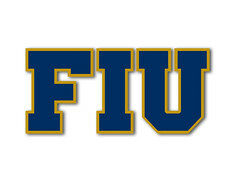 Currently FIU is unbeaten in the last 8 games. GO F I U! Let's do it again! Go Panthers! Unfortunately, the slow start to the season means no real post season opportunity. Go F I U! It was a good run. I'm proud we made it to two straight conference championships. Hopefully they can build on a strong team next year.